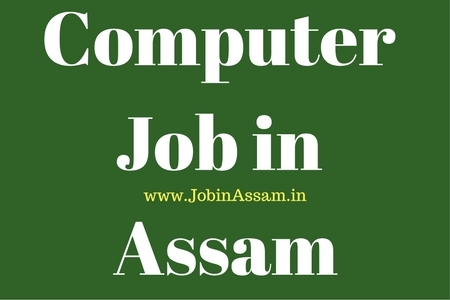 If you are a degree holder in Computer Science, you can apply for APSC, Assam Recruitment 2017 for Programmer/ Asstt. Programmer. Assam Public Service Commission invites application from Indian Citizens as defined in Articles 5 to 8 of the Constitution of India having registration in Employment Exchange in the State of Assam for the under-mentioned posts in the office of the Assam Public Service Commission. If you are a software developer or a Computer programmer or a Computer science student, read this article till the end and apply for this APSC Programmer Job in Assam. Pay: Rs. 30000/- to Rs. 110000/- PM with Grade Pay of Rs.12700/- PM Plus other allowances as per rules of the Govt. Age: 21 years to 43 years as on 01/01/2017 as per Govt. OM No. ABP 06/2016/04 dated 03-03-2016. The upper age limit is relaxable in case of SC/ST/PWD candidates as specified by the Govt. in accordance with the Acts, Rules and orders of the Govt. in force. Educational Qualification: MCA from a recognized University with at least 1(One) year experience in software development Or B.E/ B.Tech. from a recognized University in Computer Science with at least 1(One) year experience in software development. Pay: Rs. 22000/- to Rs. 87000/- PM with Grade Pay of Rs.11500/- PM Plus other allowances as per rules of the Govt. The last date of receiving duly filled up application form in the Commission’s office is fixed on 22-09-2017 during office hours. These jobs are advertised by APSC. So, selection will be done by Assam Public Service Commission in due time. Please stay connected with us for details of syllabus and selection process of APSC Computer Programmer Job in Assam 2017. We always discuss the official syllabus on our website clearly. If you have anything to ask please feel free to ask below.